Large Group Intervention methods have gained their own place in the practice of organisational change and development. However, sustainable change is not to be expected from a one-time and short large group event. 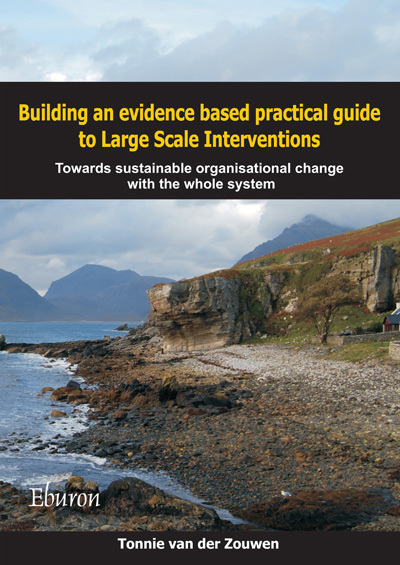 This book presents an evidence based guide for the practice of participative organisational change, in particular with the whole system approach called Large Scale Interventions (LSI), also known as Whole Systems Change. Effective organisational change requires a good match of intervention design and performance on the one hand and circumstances and intended effects on the other. The large group meetings have to be embedded in a larger participative process, the Large Scale Intervention (LSI). But when and how is an LSI likely to contribute to sustainable change? How do we know that time-consuming involvement of stakeholders is or was worth the effort? The guide offers an instrument and tools for systematic evaluation of interventions. The construction of the practical guide is presented as an educated, reflective inquiry, offering a synthesis of the field of LSI practice world-wide. The guide is based on six years of applied social research and extensive personal experience as a practitioner of participative interventions. 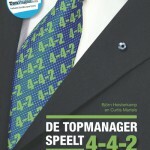 Tonnie (A.) van der Zouwen studied Ecology and Change Management. 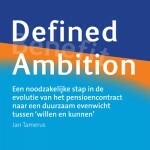 After a career as researcher, teacher and organisational consultant she now works as an independent consultant, and as a lecturer at Tilburg University in the Netherlands. She guides organisations and networks in developing their change capacities. She does this by introducing interactive change methods, bringing people together beyond the boundaries of organisations and disciplines. She writes informative handbooks and articles about these methods, educates professionals on how to apply and evaluate them and she also supervises master students in qualitative research on interventions for organisational change.